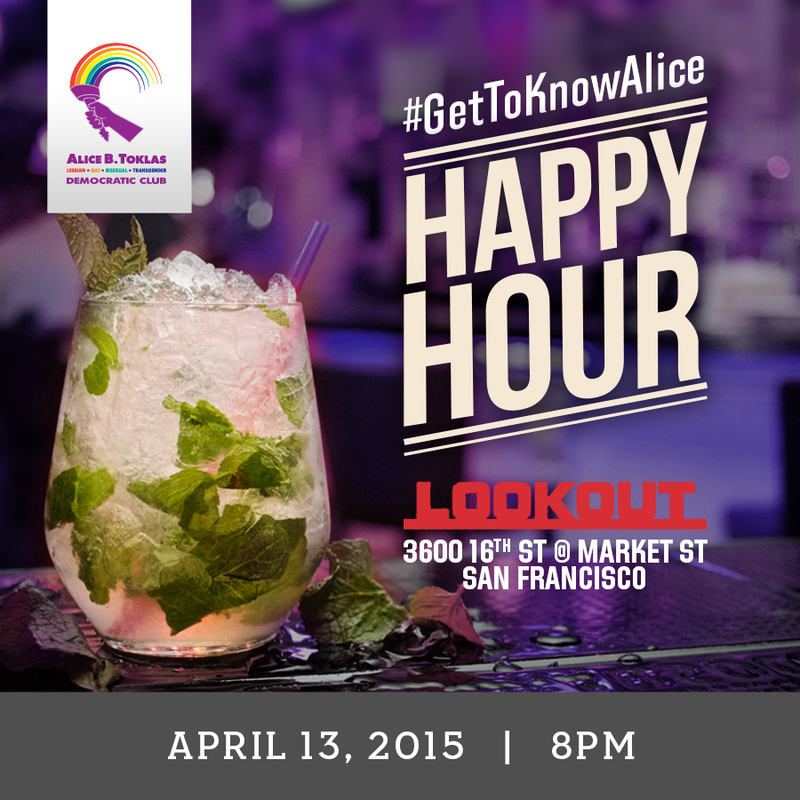 Thank you for being part of the Alice B. Toklas LGBT Democratic Club. 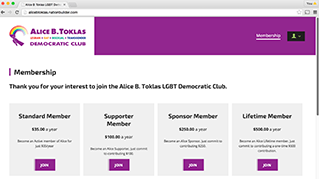 Alice Membership/Comms Committee launched the new online membership dues page on NationBuilder. You can pay your dues online anytime. 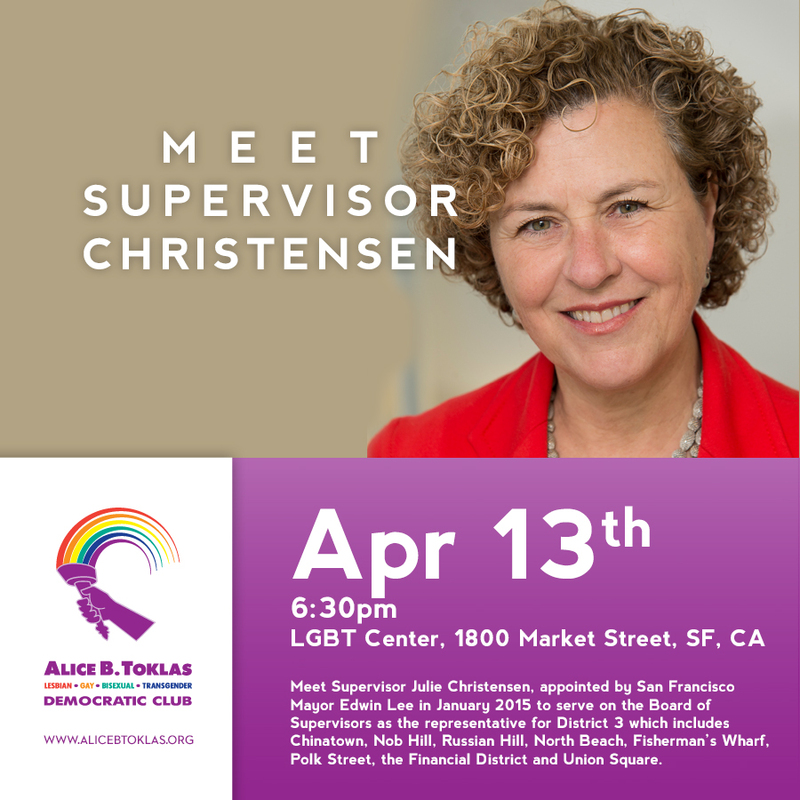 It’s fast and simple and just takes a minute by going to: http://www.alicebtoklas.org/membership/ If you would like to pay your membership dues by check, please see us at the next General meeting on April 13th at the LGBT Center at 6:30pm. NOTICE: The Board of Directors unanimously passed a recommendation to amend the Bylaws at the Board meeting on February 23, 2015. These amendments relate to simplifying the membership calendar and some other related technical issues. The changes to Membership includes moving to a January annual membership renewal, clarifying voting eligibility, and determining delegate rules to meet California Democrat Party rules. A membership vote on these proposed changes will be held at the upcoming Membership Meeting on April 13, 2015. You can learn more about the proposed changes then and cast your vote if you are an eligible member. 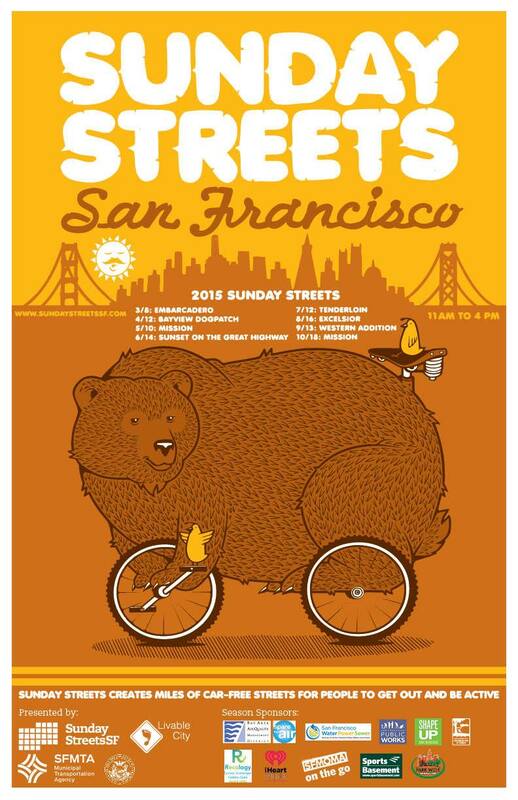 April 19: City Arts & Lectures interview of former Congressman Barney Frank at the Nourse Theater on Sunday, April 19th at 4:00pm.